After arriving in Sapa by overnight bus at 6:30 a.m., I signed up for the next trek departing from my guesthouse. It sounded promising: a day roaming the hillsides, stopping in several hill-tribe villages along the way, learning about the the ethnic minorities of the country who still live on and tend their own hillside rice paddies, and getting a bit of exercise at the same time. But remember when I said Vietnam tended to make me overlook certain things, make do with others, and generally work a little bit harder to appreciate it? Sapa ended up being my first indication of this. 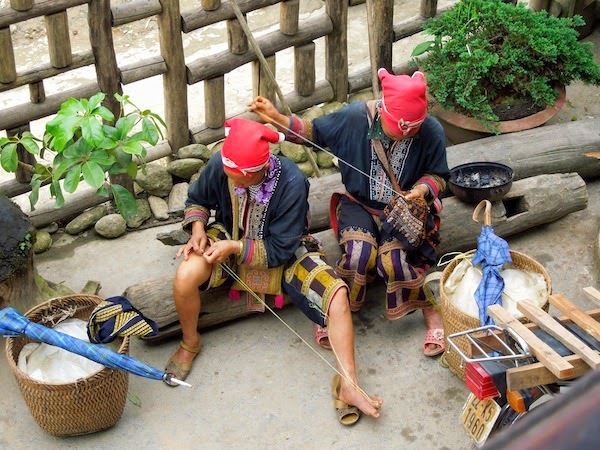 Because besides its scenery and its climate, Sapa is famous for the fact that its hill-tribe women, decked out in hand-embroidered tunics and elaborate, technicolor headdresses, will trek with you. Wherever you go. It’s what they do, day in and day out, their children strapped to their backs and their conversation topics at the ready. They latch onto a group of passing tourists, ask them their names, and follow them all day chatting. What’s your name? Where are you from? First time in Vietnam? It starts off as kind of a charming set-up, really. With all these strangers taking such an interest in you, you get caught up in the spirit of cultural exchange and start answering questions and tossing them right back. The women quickly prove themselves to be so open, and so adept at English, that you can ask them almost anything you want about their culture, their lifestyles, their families, their diets and their language and their traditions. They can tell you what crops you’re looking at and which little hut in the distance belongs to them. It’s like having a dozen personal, native tour guides who want nothing more than to help you understand what you’re witnessing — for about an hour. Then, the sales pitch begins. By the time these women leave your side – which, for the record, happens at the border of their neighboring tribes’ villages – they’ve invested enough time in you that they expect to get a little something in return. They quickly yank embroidered purses and wallets, handkerchiefs and bracelets and cheesy little plastic toys out of their baskets and demand that you buy something. And the thing is, I get it. This is how they make a living. I have no problem with the idea of paying a little extra for the privilege of walking with ambassadors from these cultures most of the world doesn’t even know exist. And getting a little souvenir to boot seems like a win-win. At first. But every woman who speaks to you, each one whose smile you once politely returned somewhere along the trail, expects you to purchase generously from her store. Before you know it, you’re surrounded by half a dozen women, each reminding you of all the great times you’ve had over the last hour and telling you, sometimes in so many words, that you’re a bad person for not wanting to buy a matching set of embroidered pillowcases from her. It only takes a few moments for the aggression to overshadow the fact that you’re still surrounded by the all-encompassing natural beauty you came to see in the first place. And it doesn’t stop when you get back to town. Women come up to you on the street and hang two steps behind you, peppering you with questions, following you to the ATM and the pharmacy, waiting across the street while you duck into a cafe for a cup of coffee and running back up to you as you come out. “Other women are going to ask you to buy things from them,” they tell you, “but you must tell them you’ll only buy from me because you’re my friend. You’re my friend, right? Now, how much will you pay for this bracelet?” It’s like being on a mobilized 24-hour guilt-trip with a nice backdrop. 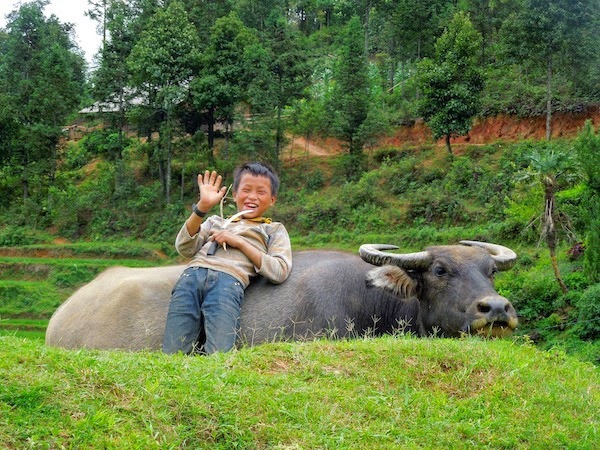 By the end of my first day in Sapa, I’d become desensitized enough that I wouldn’t return smiles in the street; I wouldn’t answer any questions as to my nationality or name; I wouldn’t even acknowledge “hellos” with a casual nod. I’d just barrel down the street with what I hoped was a discouraging scowl on my face. And the thing is, I hated it. I’d come traveling to meet new people, learn about new cultures, experience the exotic and the eye-opening, but suddenly I was preemptively shutting myself off to the locals because I couldn’t afford to get to know them. I’d come to Sapa specifically to immerse myself in its stunning scenery, but all I could remember after my first day of hiking was how awful it made me feel. And so, my second day in Sapa, I took a different approach. My second trekking tour with untouched landscapes and zero sales pressure. 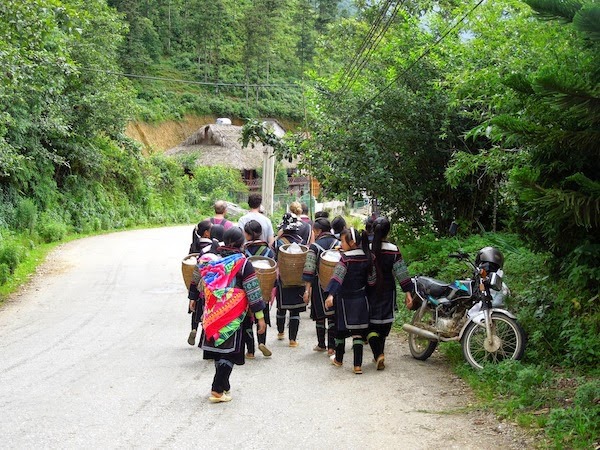 A local guide, paid handsomely, took our group on a winding trek through the hills and into her own Red Dao village. She took us to the local school, described the rice-harvesting process to us. We saw women cooking outside their homes and little kids riding buffalos along the rice paddies. The whole thing was almost… peaceful. And then our guide took us to her home to meet her mother in law. And her mother in law’s friends. They gave us little plastic chairs to perch on over the dirt floor, asked us where we were from… and enquired as to wether we’d like to see some handicrafts they had for sale. 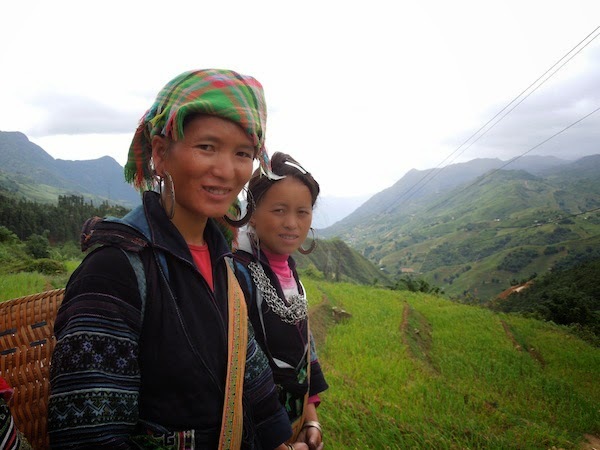 I definitely do not want to discourage anyone from visiting Sapa. It is truly, stunningly, otherworldly beautiful in the kind of way you only see in tourism campaigns. It’s fascinating seeing how the hill-tribes live, and it’s enlightening speaking with the tribe women – to a point. If you go, just be prepared with an iron will and a scowl in your back pocket — or a lot of cash.